Founded nearly a century apart, Sears and Amazon echo one another through the decades. Both companies began as small startups indistinguishable from most. Sears took root along railroad tracks and later became a true destination shopping source for Americans. Amazon, which started in a Seattle garage, would soon capture the imagination—and spending power—of shoppers across the world. Both companies succeeded by offering a diverse inventory, low prices and revolutionizing delivery services to put products in customers’ hands faster than ever before. Shoppers looked forward to receiving the latest Sears catalog in the mail, and today, customers refresh with bated breath on Prime Day, hoping to snag rock-bottom prices on popular products. Homes ordered entirely from the Sears catalog still pepper neighborhoods across the country, and in October, Amazon announced plans to invest in prefabricated houses and launched its first printed catalog. For greater insight into the companies’ historical successes and setbacks, check out a timeline of both companies. Though there are similarities to be drawn, the companies enter 2019 on remarkably different footing. Amazon executives are overseeing the construction of its second headquarters and watching the company’s Prime subscriber base flourish. Meanwhile, after filing for bankruptcy protection at the end of 2018, the Sears team is locked in a daily fight for financial survival, hoping to turn the tide on hundreds of store closings and regain its former position as a retail titan. 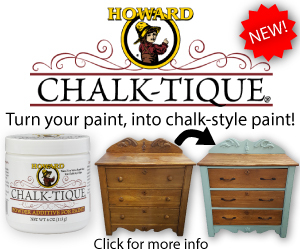 Learn more about the remarkable histories of both companies. Discover how 2018 proved to be a defining time for both and what challenges the companies face in 2019 and the years ahead. Throughout the 20th century, brick-and-mortar Sears locations served as destination department stores for an increasingly affluent nation. Long before Sears and Amazon became cornerstones of American retail, the two companies began as small startups. According to the Chicago Tribune, Richard Sears worked as a railroad station agent in Minnesota in the 1880s. One day, a shipment of gold watches arrived for the local jeweler, who decided not to stock them. Instead, he offered them to Richard Sears for $12 apiece. Sears accepted the cargo and began selling the watches to fellow station agents for $14. Sears used his modest profit to invest in more watches, and within six months, he had amassed more than $5,000 in sales, nearly $140,000 when adjusted for inflation. Soon, Sears left his railroad career and struck out into retail full time. Setting up shop in Chicago, Richard Sears then hired Alvah Roebuck, a watchmaker, to help him expand. The two established a high-volume mail-order company centered on low prices. In 1908, Richard Sears retired from the company he formed along a Minneapolis railway. Succeeding him as president was Julius Rosenwald, a financier who had joined the company 13 years prior. Upon his retirement, Richard Sears’ net worth was estimated to be $25 million. 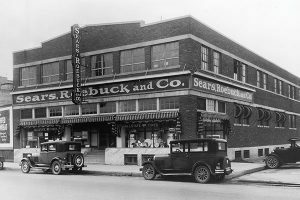 Richard Sears died in 1914, more than a decade before the company he started would open its first brick-and-mortar location and expand into markets across the U.S., marrying its robust mail-order business with convenient brick-and-mortar locations to capture sales and become an icon in global retail. 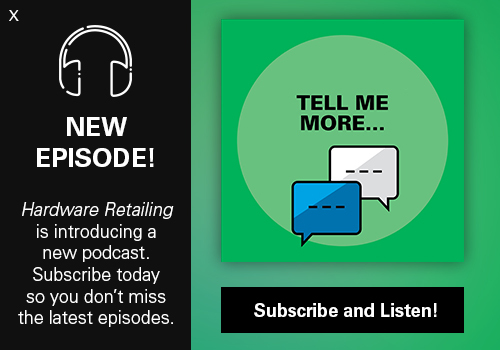 For historian Jerry Hancock’s perspective on the history and influence of Sears in the U.S., check out his interview with Hardware Retailing. In 1986, recent Princeton University graduate Jeff Bezos accepted a job with Fitel, a financial telecommunications startup. In that role, Bezos oversaw the construction of an international trade network and later became the director of customer service for the company, according to the Los Angeles Times. Soon, Bezos began dreaming of creating his own business. 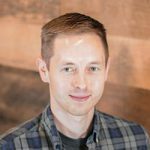 By the mid-1990s, he was working as a senior vice president of a hedge fund, but left that career to launch Amazon, an online bookseller, from his garage in Seattle. Investors were skeptical that a company dealing primarily in books ordered online would scale, but Bezos held firm that the exponential growth of the internet would provide the momentum his company needed to capture new business. Bezos’ prediction held true. In 1997, the company prepared its initial public offering and opened its second distribution center to speed up shipments along the east coast. One year later, the company began selling CDs and DVDs. In 2002, Amazon entrenched itself in the digital landscape by launching Amazon Web Services, which is currently one of the most-used web hosting and cloud computing platforms. been scrutinized for poor working conditions in these centers. 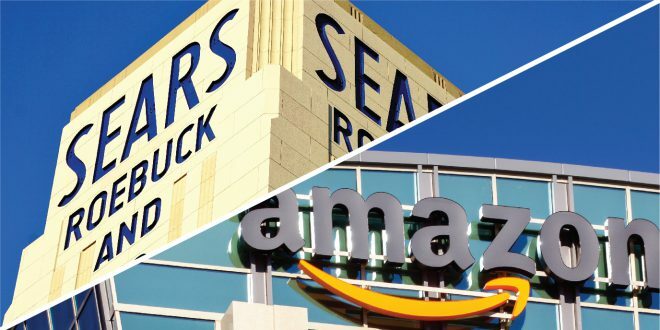 Sears and Amazon both had a pivotal year in 2018. While Amazon soared on its highest-ever profits and raised its profile through a nationwide search for its second headquarters, Sears delivered near-fatal financial reports, closed hundreds of retail locations and ended the year enveloped in a cloud of uncertainty. In March 2018, Sears released its financial summary for 2017, reporting $16.7 billion in revenue for the year, a 24 percent decline from 2016 levels. By April, the struggling retailer announced plans to close its last Chicago store. The closure marked the end of an era for the company, which had strong roots in the city since moving its headquarters there and etching its name on the Chicago skyline. Sears then closed 48 Sears stores, 15 Kmart operations and roughly 100 Sears Hometown locations in June. By that time, the company’s stock had fallen 50 percent from the previous year. 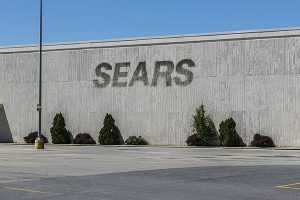 Edward Lampert, who was then the CEO of Sears Holdings after assuming the role in May 2013, publicly sought financial partners to buoy the company. October saw a whirlwind of activity as Sears braced for financial impact. That month, the company filed for bankruptcy, announced the closure of a further 142 locations and confirmed Lampert would step down from his role as CEO but remain the company’s chairman of the board. At the time of the filing, Sears listed its total assets as nearly $7 billion and declared total debts of $11 billion. “Sears survived the Great Depression, adapted as its shoppers traded catalogs for downtown department stores and followed customers to suburban shopping malls. But it faltered as discounters, specialty chains and online merchants wooed consumers away in recent decades, and it never seemed to find the niche that would bring them back,” wrote the Chicago Tribune. While Sears’ financial team strategized for survival, Amazon rode the waves of a historic year of profits and milestones. As 2018 began, Amazon announced it had created a shortlist of 20 cities for HQ2, the company’s second headquarters. The company said it would bring approximately 50,000 jobs to the region it selected, sparking a nationwide tug of war between local governments. Cities and states across the country offered special tax subsidies and other incentives to woo the company. Amazon Go, a cashierless grocery store that relies on proprietary technology to track purchases, opened in Seattle in January. 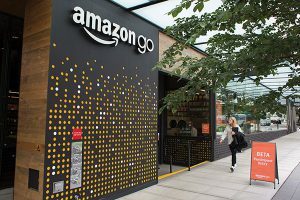 By the end of the year, there were nine Amazon Go locations in major cities across the country, and Amazon announced plans to open as many as 3,000 in the U.S. by 2021. Meanwhile, the company’s Prime membership service, which ensures two-day delivery on products and includes music and video streaming, reached new heights. 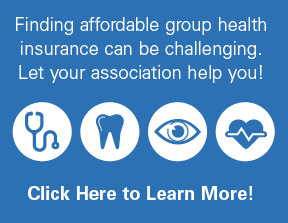 In April, Bezos announced the service had surpassed 100 million members. Prime Day, the company’s annual day of special online sales, broke records as customers spent more than $4 billion. By September, the company became the second to be valued at $1 trillion and captured “49 cents of every e-commerce dollar in the U.S.,” according to The New York Times. At the time, Amazon employed more than 550,000 workers and generated $175 billion in annual revenue. In 2018, Bezos was identified as the richest person in the world with an estimated net worth of $156 billion, according to Business Insider. For many consumers in 2018, the sight of shuttered Sears stores and new brick-and-mortar Amazon locations became increasingly familiar. In February, Sears emerged from bankruptcy after a judge approved the sale of most of the company’s holdings to ESL Investments, the hedge fund managed by Lampert, for $5.2 billion. This decision enabled the company to keep 425 locations open and save roughly 45,000 jobs, according to CNN. Competitors smelled blood in the water. According to Sears’ financial reports, it closed nearly 30 percent of its locations from 2017 to 2018. Retailers that operate near those locations—including Macy’s, Dillard’s, J.C. Penney and others—stand to profit and capture sales from former Sears devotees. Escaping bankruptcy wasn’t enough to appease analysts, who predict Sears has a rocky future. “In our view, the company will continue to be hobbled by the same untenable problems, given that its efforts to resuscitate performance by shrinking has mainly been unsuccessful,” Moody’s Investor Services wrote after ESL Investments emerged victorious from a bankruptcy auction in January. On the other hand, Amazon faces continued criticism on a variety of fronts, notably wages and working conditions for its distribution center employees. 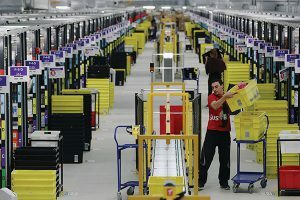 In October, Amazon announced it would raise the minimum wage of all fulfillment center workers to $15. However, the company simultaneously announced it would stop giving stock shares and monthly bonuses to thousands of those workers. The company faced scrutiny for the alleged working conditions inside these fulfillment centers, with some employees reporting laboring in 100-degree heat and being held to near-impossible fulfillment quotas, according to The New York Times. The selection process for HQ2 was not without criticism. In an op-ed from the Los Angeles Times, the newspaper’s editorial board urged regions in contention to land HQ2 to seek solid commitments from the retailer. Many other politicians and organizations chided Amazon, one of the world’s most profitable companies, and Bezos, the world’s richest man, for seeking financial incentives and diverting funds from other projects. 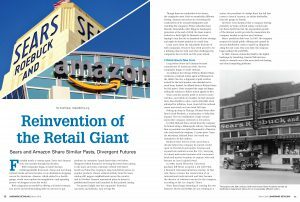 No matter what financial and federal scrutiny the companies endure throughout 2019 and in the years ahead, it’s undeniable that Sears and Amazon have both imprinted themselves permanently onto the history of retail.